The United States government's stepped-up courting of Islamist groups is on display at the State Department web portal www.america.gov. The site bills itself as a place to "meet the people" and "explore the values and ideas that define the character of the United States." 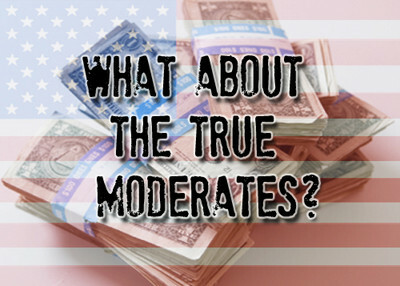 But when it comes to American Muslim organizations, that often means providing a U.S. government stamp of approval to organizations linked to the Muslim Brotherhood such as the Council on American-Islamic Relations (CAIR) and the Islamic Society of North America (ISNA) or apologists like the Muslim Public Affairs Council (MPAC). A September 4 podcast about President Obama's Community Service Initiative illustrates how the federal government gives free and favorable publicity to Brotherhood-linked Islamists. America.gov noted the contribution of Dalia Mogahed (a protégé of terror-apologist John Esposito) to the president's initiative. Mogahed and Esposito work together at the Gallup Center for Muslim Studies. The two collaborated in writing a book. Read a favorable review here. The podcast added that Mogahed, executive director of the Gallup Center for Muslim Studies and a member of the President's Advisory Council on Faith-Based and Neighborhood Partnerships, had launched www.MuslimServe.org, "a Web site that identifies a national goal of 1,000 service projects for Muslim Americans." It quoted at length from a speech Mogahed delivered to ISNA's national convention setting out principles for the president's initiative. During the Cold War, government bureaus like the United States Information Agency worked to counter disinformation by driving home the point that freedom and democracy are superior to communism and tyranny. But Zuhdi Jasser, head of the American Islamic Forum for Democracy, says that in today's struggle with radical Islam, the United States government is doing something very different – even perverse. It is aiding and abetting the efforts of groups like CAIR and ISNA to anoint themselves representatives of all American Muslims - even though many Muslims want nothing to do with the Islamists. At a July 20 meeting on Capitol Hill with Farah Pandith, head of the State Department's new office of representative to Muslim communities, Jasser criticized the 64-page booklet "Being Muslim in America" as an example of what is wrong. The publication is "like Pravda. It's all about how Muslims in America are motherhood and apple pie," Jasser said he told Pandith. "It's like the Muslim community has no warts" or divisions. Nothing could be further from the truth, says Jasser. In presenting this monolithic, idyllic picture of Muslims, the State Department is ignoring inconvenient facts like the intra-Muslim debate over imposition of Sharia and Muslims' larger relationship with non-Muslims, Jasser told IPT News. At the meeting, organized by Congressional Anti-Terrorism Caucus founder Rep. Sue Myrick (R-NC), Pandith reacted defensively when Jasser (accompanied by representatives of non-Islamist Muslim groups like the World Organization for Resource Development & Education and the Islamic Supreme Council of America) criticized the State Department for letting Islamists monopolize the debate. *An August 26 story by Carla Higgins entitled "Muslim Americans Mourn Death of Sen. Edward Kennedy" consisted almost entirely of an ISNA statement praising the late Massachusetts senator. * An August 26 story by Ahmed Mohamed ("Muslim Americans Launch Community Service Initiative") which reported that "Muslim Americans are showing their support for Obama's community service appeal by launching the Muslim Americans Answer the Call Campaign." Like the September 4 podcast quoted above, Mohamed's story noted that the campaign is led by Mogahed and quoted at length from her ISNA national convention speech in July. The article also included a list of seven bullet points outlining CAIR's contribution to the President's community service initiative. It quoted CAIR Executive Director Nihad Awad praising the initiative as "a unique opportunity to tell their story through service to others." * An August 20 story also by Ahmed Mohamed ("New Documentary Film Explores Muslim Experience in America") that reads like a press release for "Journey into America," a movie which premiered July 4 at ISNA's convention. In making the film, a research team traveled to numerous American mosques. The story quotes ISNA President Ingrid Mattson praising the film as one that would allay Americans' fears of "what might be going on behind the doors of these mosques." * An August 19 story by Howard Cincotta entitled "Muslim Americans Find Their Voice Through Advocacy, Engagement: Muslim organizations bringing message of inclusiveness, involvement." Salam al-Marayati, executive director of MPAC, was quoted extensively in the story, and his picture appears in it. The story linked to the websites of CAIR, ISNA and MPAC. MPAC its officials have a history of defending terrorist organizations like Hizballah and anti-Israel slanders, including al-Marayati's suggestion that Israel may have been behind the September 11 attacks. (See here and here). ISNA President Mattson was also quoted in the article, which notes that Valerie Jarrett, one of President Obama's top advisers, spoke at ISNA's July convention. The piece links to the to the websites of the Prince Alwaleed Bin Talal Center for Muslim-Christian Understanding at Georgetown University, a Saudi-funded institution headed by Esposito, and the Fiqh Council of North America. * An August 11 story by Ahmed Mohamed reads like a press release for ISNA's "interfaith dialogue" efforts. * An August 3 story by Ahmed Mohamed entitled "American Muslims Urged to Increase Community Activism" reads like a press release for ISNA's national convention. The story consists of quotes from Rep. Keith Ellison (D-Minn.) and other convention speakers dispensing platitudes about the need to reform health care and the importance of things like "peace," "dignity," "serving humanity" and being a "good citizen" and "good neighbor." The story said nothing about ISNA's radical background, in particular its Muslim Brotherhood links. * A July 9 story by Mohamed entitled "Islamic Society of North America Promotes Community Service" was a veritable infomercial for ISNA's 2009 national convention. Like the other stories about the ISNA convention noted above, it made no mention of the hate speech or defenses of Hizballah that occurred there. The above-mentioned items are just the tip of the iceberg when it comes to the State Department's promotion of Muslim Brotherhood-tied groups and other radicals. The site includes a video depicting the Dar Al Hijrah Islamic Center in Falls Church, Va. as a model of harmony and diversity, despite a longstanding history of connections between the mosque, its leadership and radicalism. Read more about Dar Al Hijrah here. Under its International Visitor Leadership Program, the State Department continues to partner with Islamist groups linked to the Brotherhood such as the Muslim American Society. Read more about that here. The State Department's efforts to court radical Islamists did not begin with the Obama Administration. Read IPT Executive Director Steven Emerson's testimony about the Bush Administration's performance here. U.S. Muslim outreach since September 11 has been plagued by a bias in favor of "Saudi-funded or -supported groups with the biggest publicity machines," said Nina Shea, a member of the U.S. Commission on International Religious Freedom and senior fellow with the Hudson Institute. "All too often, the ones getting covered are the ones with grievances against the United States. Those who are pro-freedom like Zuhdi Jasser are excluded." The U.S. government's discrimination in favor of "Sunni beneficiaries of Gulf funding" in Muslim outreach efforts establishes them "as spokesmen for the Arab Muslim community," Shea replied when asked about the government's tilt in favor of CAIR, ISNA and other Islamist groups. "This has the effect of squeezing out other voices and not giving recognition to Muslim-Americans with initiative that are trying to start organizations rooted in American values." Shea said this discrimination was particularly evident at the recent White House Iftar dinner. Virtually all of the Muslims in attendance were Sunnis like ISNA's Mattson and ambassadors from nations like Saudi Arabia, Jordan, Morocco and Pakistan, while Shi'ites, political dissidents and Sunni foes of Wahhabism were absent. "It would be extremely uncomfortable for these dictatorships and monarchies to be in the same room with dissidents," Shea told IPT News. "Without the support from the government, radical Muslim groups would have remained a fringe," adds Massoud of Muslims against Sharia. "That's how extremists who suggest that Israel is responsible for 9/11 [MPAC's Marayati) become friends of the Progressive Jewish Alliance and radicals who would like to replace the Constitution with the Koran get to represent American Muslims on TV." According to Jasser, the America.gov site spotlights the wrong kind of "diversity." "Just showing a bunch of Muslims living in different environments, doing different things, doesn't help us," Jasser said. The State Department is ignoring the importance of political diversity – failing to acknowledge the reality that American Muslims are ideologically diverse. It highlights the work of organizations like CAIR and ISNA," who focus on victimization issues – profiling, women not being able to wear the hijab, you're playing into that. Psychiatrically, you're creating an inferiority complex," according to Jasser. Favoring the Muslim Brotherhood-related groups "weakens U.S. interests in terms of diversity," says Walid Phares, a scholar with the Foundation for Defense of Democracies who helped organize the July 20 meeting in Myrick's office. The more radical organizations "have been working on this for over 20 years" thanks to grants "provided by the U.S. government and the Saudis," Phares adds. "It is like the U.S. government is shooting itself in the foot." The above article is an excellent example of why the IPT has been and will continue to bein my top five sites for vaild, verified information on terrorism and islamofacism. I am in the middle of Mr. Emerson's latest book American Jihad and I am finding this to be an outstanding reference and history of Jihad and terrorism within the United States. I have been reading here for quite some time but this is the first time I will be leaving a comment. The State Dept. should be ashamed of themselves for playing such dhimmi fools and stooges, right into radical islam's clutches. The pandering to these radical groups will do nothing but set back some of the limited progress that has been made against such groups. The State Dept. in my view has been sliding in this direction for quite some time. Under the Obama administration these moves have accelerated and serve nothing more than to put this country at greater risk of more terrorist attacks, the loss of more American lives. Under the misguided policies of diversity and multiculturalism, radical Islam will continue to seek out and utilize our own weakness to radical islam's advantages. The efforts, research and exposure of radical islam by the IPT are badly needed as it seems to me that those of us who see, study and voice our concerns about radical islam are fighting an uphill battle against our own Government. It is tough enough to be active against radical Islam. Now we have the Obama goons throwing away assets(our taxes) to help promote such vile orannizations such as CAIR, MB, MSA, ISNA, the list is a long one. To remain silent and still is the same as waiting for death when you talk about radical islam. I refuse to to one of the ones that will let radical Islam assert control over this country and it's citizens. Keep up the excellent job you are doing here at IPT.